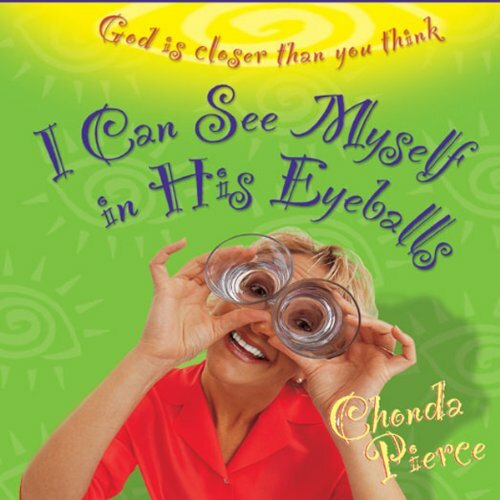 Showing results by narrator "Chonda Pierce"
What would it be like to get so close to God that we could see ourselves in His eyeballs? What if we could see our images reflected there because we were so close to him? Chonda Pierce wants to get close enough to God to see herself as God sees her. But to move closer to God, we first have to see him. Pet peeves been trailing mud all over your nice, bright outlook? Let Chonda Pierce help you clean up your attitude with a little deep-cleansing, sparkling fresh humor! This comedian, singer, and preacher's daughter has a knack for finding merriment in those little things that can drive anyone crazy. Her wacky stories won't just get you laughing so hard you'll forget what was bugging you; they go deeper, illustrating profound spiritual truths. As a Christian it's easy to assume that life's little sticking points shouldn't aggravate you. It can be hard to go to God with the "petty" details of your day, because they seem exactly that - petty. So when your day and your temper both seem like a wet bar of soap - hard to get a grip on - don't work up a lather! Listen to Chonda Pierce on Her Soapbox instead. You'll do more than get a good chuckle - you'll discover that God is deeply interested in everything about you.